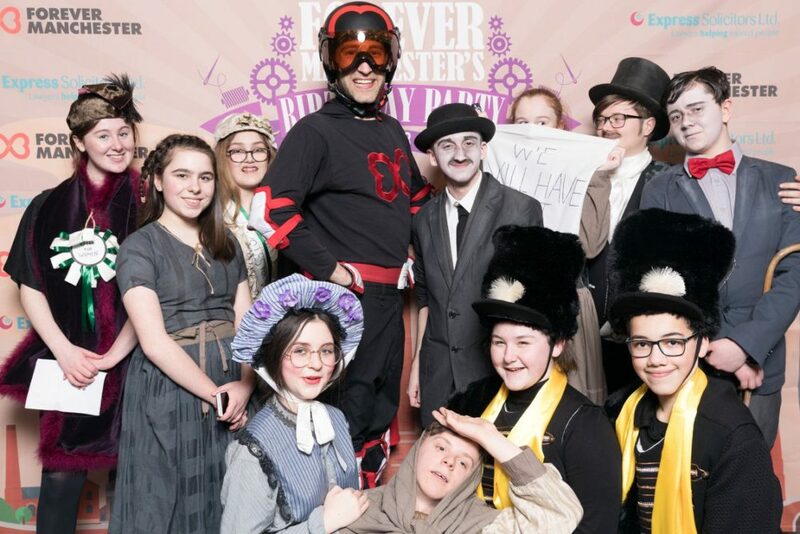 At the Forever Manchester Birthday Party on Friday 9th February, we were delighted to invite four local community groups to perform live in front of 500 guests… and they all went down an absolute storm!! Prior to the Birthday Party we visited the groups to find out what they do and why they do it, and what impact it has on the people involved but also on the wider community. We enlisted the help from Modify Productions, a community group themselves, to produce some short films which were displayed on the screens in the venue and also featured below. Modify Productions are based in Moston, and produce short-form content to advertise growing local businesses and charities. Visit www.modifyproductions.co.uk for more information. Capoeira Conviver based in Ardwick, teaches regular classes at their academy and holds community performances of the Brazilian dance-meets-martial art known as capoeira, which combines movements, acrobatics, music, percussion and game play. Accessible to all ages and backgrounds, the group is dedicated to the teaching, performing and training of capoerira. As well as bringing people from the local community together, they also improve self-esteem and fitness for those taking part. Mature Movers is a community group of ladies based in Eccles that performs at local care homes, day centres and events. Originally an exercise class for the over 50s, a change of teacher saw them starting to learn simple dance routines as well. Mature Movers first performed at The Met Theatre in Bury as part of a ‘celebration of dance and older people’ afternoon. With a taste for the stage, the ladies slowly started to reduce the exercise element of the class and began concentrating on learning routines to perform. The ladies have been together for almost 10 years now and continue to entertain local residents. They offer a unique performance experience that combines music and dance with a twist of comedy. 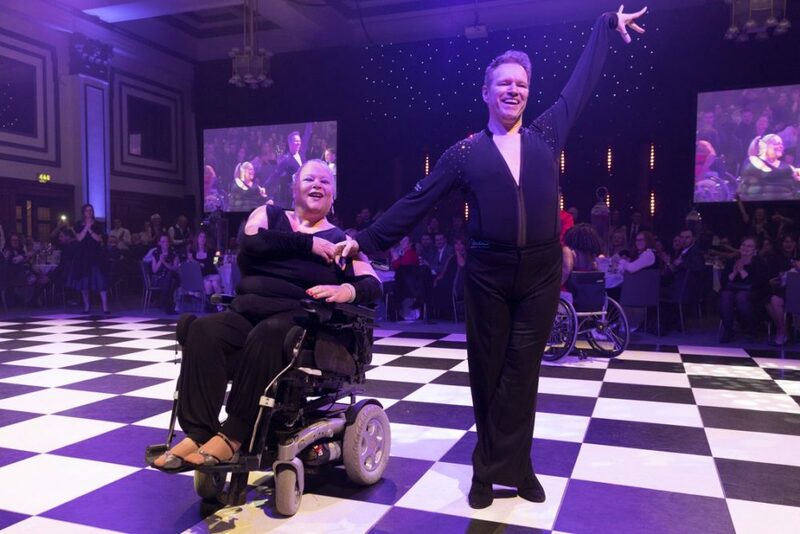 Strictly Wheels Foundation was founded by Paula Moulton and Gary Lyness who are now the UK’s first and only top class Latin Wheelchair Dance Sport couple, competing for Great Britain at PIC Level. 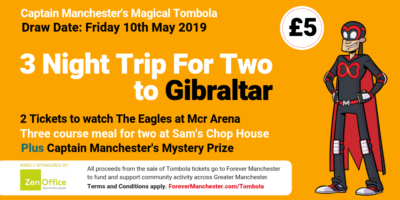 They are passionate about wheelchair dancing and want to encourage as many people as possible to take up the sport, either socially or to go on to compete. Wheelcahir Dance can be done either in ‘combi’ style dancing with an able-bodied (standing) partner or ‘duo’ style dancing for two wheelchair users together. Entertaining guests in the drinks reception at the Birthday Party were MaD Theatre Company, based in Moston, who provide quality and affordable drama workshops for young people and adults across Greater Manchester. Over 200 people per week are involved in their drama groups and rehearsals. The theatre works with local member members of the community to encourage adults and young children to get involved in all aspects of theatre production including acting, set design, writing and marketing. Watch all the groups in action on the Birthday Party video, kindly produced by Tuna Fish.